Some home buyers don’t know the negative effect debt can have on a mortgage application. You don’t have to be debt-free to purchase a home, but excessive debt can reduce purchasing power or result in a higher mortgage rate. When applying for a home loan, your lender pulls your credit report and credit score, and evaluates how much you owe on credit cards, auto loans, student loans, and more. When compared to your income, this information gives lenders an idea of how much you can spend on housing. As a rule, your mortgage payment cannot exceed 28 to 30 percent of your gross monthly income. Your total monthly debt payments, which also include the new mortgage payment, shouldn’t exceed 36 to 43 percent of your gross monthly income. This maximum depends on whether you receive a conventional or an FHA home loan. Although you’re allowed to spend up to 30 percent of your gross monthly income on housing, this doesn’t mean a bank will approve any amount up to this percentage. For example, if your loan or credit card payments take a chunk of your monthly income, a lender may say you only qualify for a mortgage with a payment up to 25 percent of your gross monthly income, which limits your options. Therefore, you should eliminate as much debt as possible before applying for a mortgage. This not only increases affordability, less debt makes it easier to adjust to home ownership and new expenses. Debt elimination is easier said than done and it can take months or years to pay down balances. But there are ways to help wipe the slate clean faster. Temporarily downsizing can provide extra cash to pay off debt. Once you finish paying off debt, begin saving for mortgage-related expenses, such as a down payment and closing costs. Average down payment minimums range from 3.5 to 5 percent, and closing costs can range from 2 to 5 percent of the loan balance. Consider getting a roommate to share expenses with, moving into a cheaper home on a temporary basis, or moving in with your parents to save money. It might be difficult to get rid of treasured belongings. However, if you focus on the big picture and think about your future home, it’ll be easier to unload stuff you don’t need and don’t use on a regular basis. The more you have, the more you have to maintain. 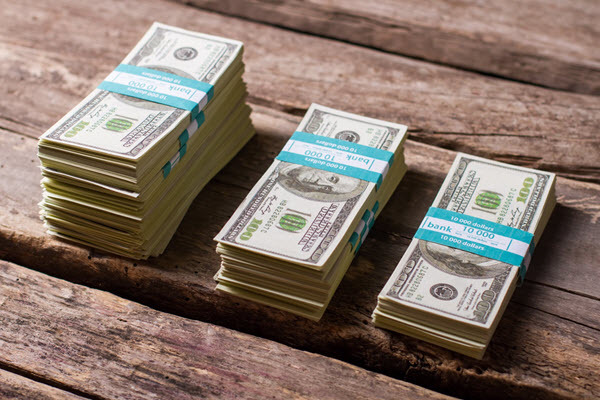 Decluttering can put cash in your pocket and simplify your life. Make a list of items you no longer use. Plan a yard sale, list items for sale online, or work with a local consignment shop. Some people get free money throughout the year, whether it’s an end-of-the-year work bonus, a sizable tax return, or cash as a gift. Planning a vacation or shopping spree is fun. A smarter approach, however, is using unexpected money to pay off credit cards and other loans. By doing so, you can eliminate your debt months sooner. Credit card debt is one of the hardest debts to erase because of high interest rates. See if you qualify for a 0% interest balance transfer credit card. These cards typically offer 0% interest for the first six to 18 months. Transfer all your balances to the new card. You’ll simplify your finances, and with no interest charges, one hundred percent of your monthly payments will go toward reducing the principal. As you pay down your credit card balance, your credit utilization ratio improves. This can raise your credit score and help you qualify for a lower interest rate when you’re ready to get a mortgage. How much time do you spend watching TV or surfing the Internet every week? If you’re serious about paying down debt and getting a mortgage, get a part-time job a few days a week or think of a side businesses you can do. If you can earn an extra $150 a week, that’s an extra $600 a month or $7,200 a year. This can pay off your debt and help build a down payment fund. Are Mortgage Discount Points Worth the Cost? Most borrowers want the lowest possible mortgage interest rate. This is why they work to improve their credit scores before applying for a home loan and comparison shop. But these aren’t the only ways to find the most favorable rate – borrowers can also reduce their mortgage rate by paying discount points. Discount points are optional, but offer a practical way to reduce the interest rate on a home loan. A cheap rate lowers the amount of interest paid over the life of a home loan, plus borrowers can enjoy a lower monthly payment. Although discount points are helpful, buying points isn’t the right choice for everyone. Each borrower has to count the cost and then decide whether discount points makes sense for their situation. What is a Discount Point and How Does It Work? A discount point is a type of upfront prepaid interest paid to a mortgage lender in exchange for a lower mortgage rate. For every discount point you buy, you receive (on average) .25% on your interest rate. If you apply for a home loan and the lender quotes a rate of 4%, paying two discount points can reduce your interest rate to 3.50%. Paying discount points is attractive, especially if you need a lower interest rate and a lower monthly payment. But discount points aren’t cheap – and certainly aren’t free. Each discount point costs 1% of the loan balance, and this fee is included in your closing costs. Let’s say you’re financing $200,000 for a home purchase and you want to buy two discount points. In this scenario, you’ll pay $4,000 upfront. Some lenders wrap closing costs into the mortgage loan, which means you don’t have to pay out-of-pocket for discount points. But even if you’re not shelling out money at the closing table, you have to do the math to determine whether discount points make sense from a financial standpoint. To decide whether you should or shouldn’t purchase discount points, there are three factors to take into consideration: how much you’ll save monthly with a lower interest rate, how much you’ll pay for each discount point, and how long you plan to live in the home. If you’re borrowing $200,000 and you buy two discount points to reduce your interest rate from 4% to 3.50%, you’ll pay an extra $4,000 in closing costs. If you have a 30-year fixed-rate mortgage, the difference in your mortgage payment at 4% and 3.50% is approximately $55 a month. For discount points to make sense, you’ll have to live in the house long enough to break even or recoup the cost of buying the discount points. Since a cheaper interest rate saves $55 a month and you paid $4,000 for two discount points, you’ll have to live in the home for a minimum of 72 months (or six years) to justify the extra expense. It’s difficult to predict where you’ll live in the next few years. As a rule of thumb, if you don’t foresee living in the property long-term, it might be cost-effective to skip discount points. On the other hand, if you know you’ll live in the home long-term, paying discount points can result in significant savings over the life of the loan. Some home buyers choose a fixed-rate mortgage in order to make regular, steady payments. But this isn’t the only option. You can also choose an adjustable rate mortgage (ARM), which features a fixed interest rate for a set number of years, followed by an interest rate that changes year-to-year based on the market. There are several options for an adjustable rate mortgage, with the 5/1 ARM being one of the most popular. This type of mortgage has a fixed interest rate for the first five years of the mortgage term. Every year thereafter, the interest rate resets. With each adjustment, your rate may decrease, increase, or remain the same. Fluctuating rates can have a tremendous impact on monthly payments, so this option may not be right for everyone. Here’s what you need to know before agreeing to a 5/1 adjustable rate mortgage. Who can benefit from a 5/1 ARM? Some people avoid adjustable rate mortgages because these loans are riskier than other lending options. However, an adjustable rate can be beneficial in certain situations. An interesting feature of ARMs is that the interest rate during the fixed-rate period is typically lower than the interest rate on a 30-year fixed-rate mortgage. With that said, a 5/1 ARM might be an option if you need to keep your mortgage payments as low as possible, at least within the first five years of getting the loan. This can benefit first-time home buyers who want to lower their expenses. In addition, a lower interest rate helps borrowers get more house for their money, while keeping payments within an ideal range. But a lower interest rate isn’t the only reason to choose a 5/1 ARM. These mortgages are more suitable for buyers who will live in their homes for five years or less. This could apply to home buyers in the military who know their family will move within the next few years. These buyers can purchase a home, enjoy a lower rate for the next five years, and then move before their rate resets. Additionally, a 5/1 ARM might work if you expect your income to increase in the future. One benefit of an adjustable rate mortgage is that these loans feature rate caps, which limit how much the interest rate can increase from year to year, as well as how much the rate can increase over the life of the loan. If you run the numbers, understand the worst-case scenario, and feel you can swing higher possible payments in the future, a 5/1 ARM isn’t as scary or risky. On the other hand, if you doubt your ability to manage potentially higher mortgage payments in the future, you’re probably better off with a fixed rate. Who won’t benefit from a 5/1 ARM? Some people who don’t foresee relocating or receiving an income increase within the next five years may also select a 5/1 ARM. This is a gamble. In their minds, they can enjoy a lower interest rate today, and then refinance to a fixed-rate mortgage in five years before their rate resets. This plan makes sense in theory. But there are no guarantees that they’ll be able to refinance from a 5/1 ARM to a fixed-rate. Refinancing a mortgage requires applying for a new home loan and re-qualifying. The lender will verify income and credit, and if a borrower’s income decreases after getting the original mortgage, or if his credit score drops, this affects qualifying for a refinance and getting a favorable interest rate. If a borrower is unable to refinance and can’t afford their new payment after a rate adjustment, there’s the risk of payment problems, which can damage his or her credit score. There’s also the risk of losing property and equity. So, if you’re in the market for a home loan, be sure to review all your options. 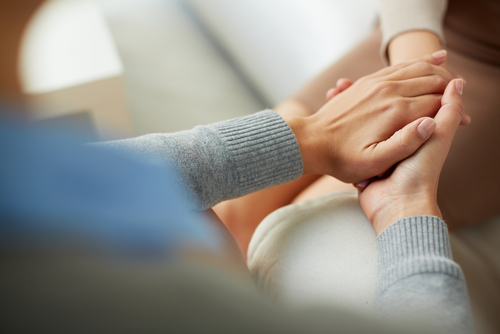 Know your risks and talk to a financial planner if necessary – you never know how much you might actually save. See our official Top 5 List of Mortgage Lenders to lock in your low mortgage rate today. If you’re in the process of purchasing a home loan, you probably know how difficult it is to qualify for a zero-down loan. Most people don’t – money must be brought to the closing table for down payment, which can range from 3 to as high as 20 percent. It must also be clear that you as the borrower have enough assets for your down payment and closing costs – and unfortunately, a mortgage lender needs more than your word. They’ll require proof of funds, which they must confirm are sourced and seasoned, but what exactly does that mean? 1. 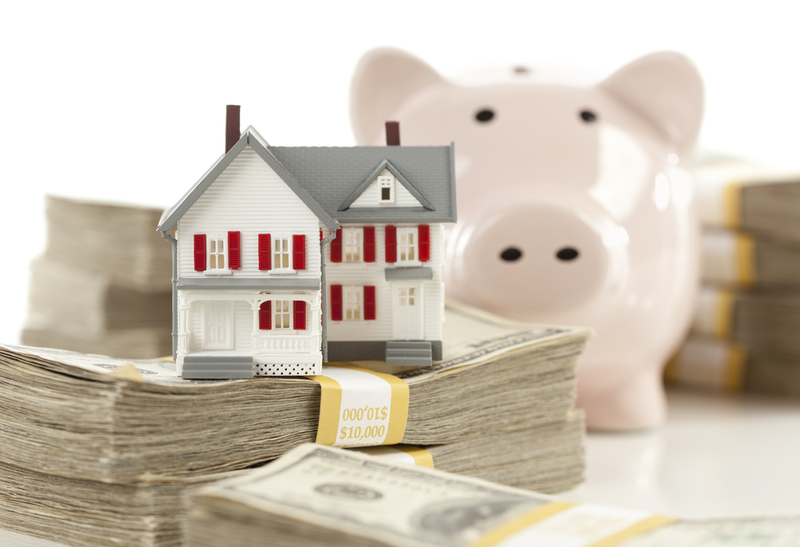 Funds for mortgage-related expenses must be sourced. When you apply for a home loan, the lender needs to know the source of funds used for mortgage-related expenses. From your standpoint, the source of funds may not matter. As long as you have cash available, a lender should willingly approve your loan, right? Unfortunately, it’s not that simple. For home purchases, lenders do not allow applicants to borrow funds for their down payment and closing costs. The money must come from their own funds or as a gift from a relative, such as a parent, sibling, grandparent or other approved relative. Since it’s a gift, the giver won’t expect repayment. If you receive a gift from a relative, that relative has to provide your lender with a gift letter, which will be included in your file. This letter requires detailed information about the gift, such as the giver’s name and the gift amount. The giver must also express within the letter that funds are not a loan. 2. Funds must seasoned, contain a paper trail of at least 60-90 days. It isn’t enough to have funds for a down payment and closing costs, you must provide a paper trail. The lender will request bank statements and retirement account statements from the past 60 to 90 days. Any funds used to cover closing and your down payment must have been in your account for at least two to three months. If the bank checks your statements and sees that funds appeared in your account within the past couple of weeks, you’ll have to provide an explanation. Basically, the bank must verify that you didn’t get a loan for your down payment. If funds haven’t been in your account for at least 60 to 90 days, this doesn’t necessarily hurt your approval chances. The bank may approve your mortgage, as long as you can provide a reasonable explanation. For example, did you sell personal items to drum up cash for your down payment? Or maybe you recently received a work bonus, an inheritance, or other unexpected cash? If you can prove the source of recent deposits, you should be okay. Since lenders require seasoned funds and proof by means of bank statements, it’s important to keep down payment and closing costs funds in a bank savings account. Some people make the mistake of saving their money in cash at home. However, when you keep your savings at home, there isn’t a paper trail, and some banks may not approve your loan. For an easier loan approval process, deposit mortgage-related cash into a savings account and wait until you have at least two to three month’s worth of bank statements before applying. If you’re a first-time homebuyer applying for a mortgage, you might think the bank approving your loan will be in your life for the next 30 years. But oftentimes, this isn’t the case. After getting a loan, a mortgage company or bank will service your loan. This includes sending statements, collecting your payments and managing your escrow account. What you may not realize, however, is that another lender may take over servicing your loan at some point in the future. It’s not unusual for mortgage lenders to sell home loans after closing. For some lenders, selling mortgages is absolutely necessary for creating capital to originate additional loans. But while this is common practice, you may have questions about the process. Here’s what you need to know. When you meet with a mortgage loan officer to complete your application and review the Loan Estimate, the loan officer will answer questions, plus provide information about the lending process. You’ll hear a lot of information in this meeting, so pay close attention to avoid surprises. During this meeting, your loan officer may reveal the company’s plans to sell your mortgage after originating and closing on the loan. This information must be disclosed within three days of completing your application. If your loan is sold, the lender could sell your mortgage before your first payment is due. After closing on your mortgage loan, your first payment is due within 30 to 60 days. A couple weeks before your due date, your new lender will contact you to introduce themselves and let you know where to send your mortgage payment. Even if your mortgage company doesn’t immediately sell your home loan, the bank may sell at a later date. If this occurs, your current lender is required to notify you within 15 days before the transfer date. In addition, your new lender must contact you within 15 days after the transfer date with information on where and how to submit your mortgage payment. During this transition period, your new lender cannot charge a late fee for the first 60 days. This provision protects you in the event that you don’t receive the transfer information in time and you submit a late payment. Or if you accidentally submit the mortgage payment to your old lender. 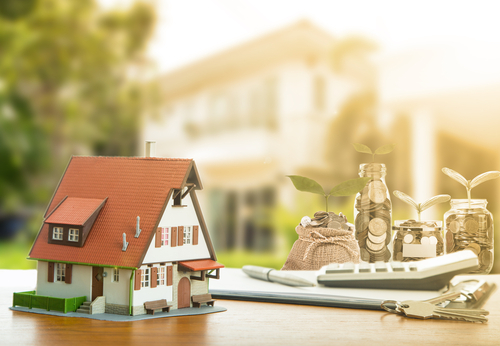 Although most lenders sell their loans to maintain funds to create new loans, occasionally a mortgage lender will keep a few loans on its books as an investment. These are called portfolio loans. 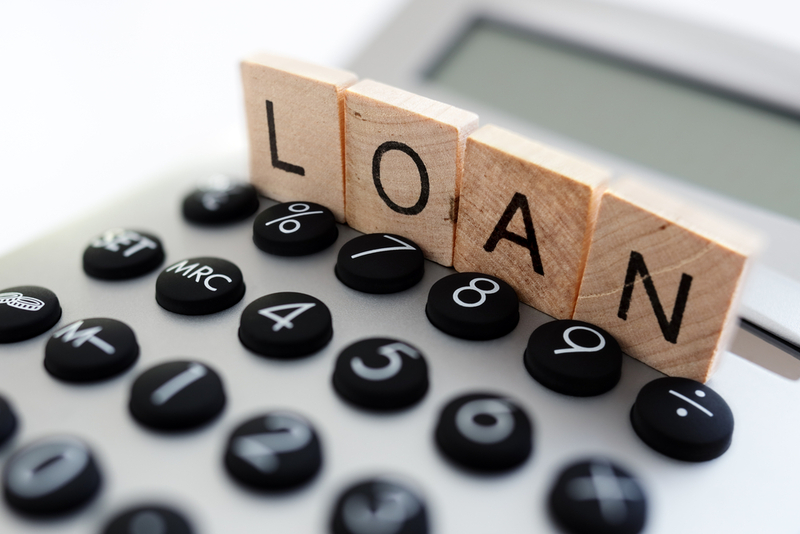 Portfolio loans are beneficial to borrowers. Since the lender doesn’t sell these loans, there’s freedom to extend leniency to borrowers. This includes relaxing the credit score requirements. Also, some portfolio lenders offer unique products like zero down home loans that allow borrowers to qualify for a mortgage with no down payment, although they’ll pay a slightly higher interest rate. You can’t get a mortgage until you can afford the home loan payment. But the amount of your paycheck isn’t the only thing banks consider. Underwriting also looks at the stability of your income. Not everyone applying for a mortgage is approved. And sadly, some people are rejected for home loans because they don’t fully understand a lender’s income requirements. You don’t need perfect circumstances to qualify for a mortgage loan. But you must prove that your income is stable and consistent. When applying for a home loan, the lender also looks at your employment history. The bank checks for any significant or recent gaps in employment. Of course, mortgage lenders realize that some situations are beyond your control. So if you have gaps in employment within the past two years, you might still qualify for a loan if you can provide a reasonable explanation. Maybe you were laid off, but found work within a couple of weeks or months in the same field. 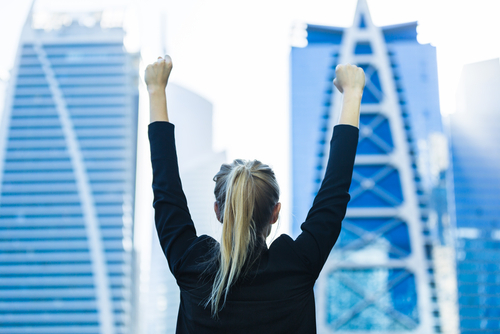 But if you’re just now returning to the workforce after a significant gap, or if you’re newly employed with a short work history, the lender might question the stability of your employment, which makes you a risky candidate for a home loan. Even if you don’t have gaps in employment, frequently switching employers every year or six months can make a lender nervous. Your income may be consistent, but lenders prefer applicants who’ve been with the same employer for at least 24 consecutive months, or who’ve at least worked in the same field for two years. Fortunately, some lenders also take into consideration the reasons behind frequent job changes. For example, if job changes resulted in moving up in your career, your lender might overlook the switch. 3. When did you become self-employed? Self-employed people can qualify for a mortgage loan, but this depends on several factors, such as when you became self-employed and your income according to tax returns. You will need to provide at least two years of tax returns before you can qualify for a home loan as a self-employed borrower. This is important, so keep good records. 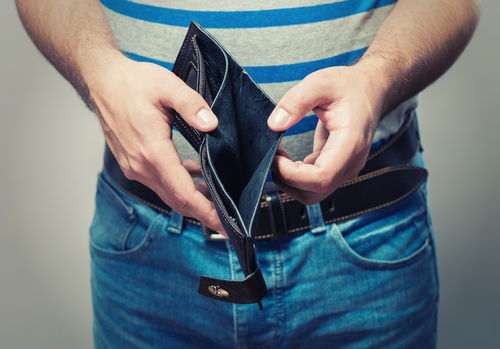 As a self-employed borrower, you don’t receive a paycheck stub or a W-2. Your tax return is the primary statement lenders use to verify your income. Be aware that business deductions or write-offs lower your net income, which can also reduce your qualifying amount when applying for a home loan. Therefore, if you’re planning to purchase a home, consider limiting your number of tax deductions for a couple of years to boost your net income. When a lender evaluates your tax returns, underwriting also checks to see if your income has increased or decreased over the past two years. Self-employed people typically experience fluctuating income from year to year. With that said, mortgage lenders use their average income over a two-year period for qualifying purposes. FHA home loans (which are insured by the Federal Housing Administration) are marketed as one of the best loan products for first-time homebuyers. Because these loans only require a low down payment of 3.5%, qualifying for an FHA home loan means you can purchase a property with less money out-of-pocket. These loans also allow a credit score as low as 500 to 580. But while these mortgages are attractive, they aren’t perfect. 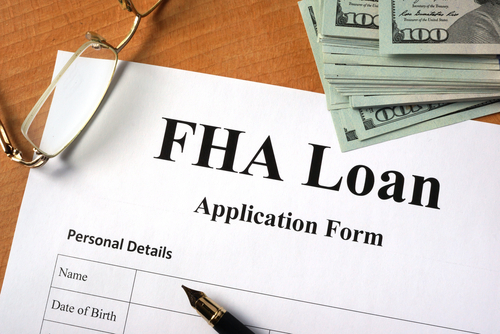 Before you apply for an FHA mortgage, here’s what you should know about this program. You’re probably aware that some mortgage programs require borrowers to pay mortgage insurance if they don’t have at least a 20% down payment. Mortgage insurance protects the bank in case of default. What you may not realize, however, is that when you apply for an FHA home loan, you’re required to pay an upfront mortgage insurance premium. This extra premium increases your total loan balance. As of 2016, the upfront mortgage insurance premium is 1.75% of the loan balance. You don’t pay this premium out-of-pocket at closing, rather your lender includes the fee in your mortgage loan. While we’re on the subject of mortgage insurance, another problem with FHA home loans is that annual mortgage insurance is permanent and required for the life of the loan—unlike a conventional loan which cancels private mortgage insurance once the property has 22% equity. In the past, annual mortgage insurance with an FHA home loan worked the same, with lenders canceling the insurance once a buyer built enough equity. This is no longer the case. If you purchase a house using an FHA home loan and you don’t have a 20% down payment, you’ll pay mortgage insurance every month until you pay off the loan. The good news is that you can refinance to a conventional loan in the future and get rid of mortgage insurance, which could also reduce your home loan payment. FHA home loans can also be problematic if you’re looking to purchase a condominium. Condominiums are excellent properties if you want a home that doesn’t require a lot of outdoor maintenance. But unfortunately, the Federal Housing Administration will only allow a loan for a condominium if more than half of the units in the building or community are owner-occupied. Additionally, the unit you purchase must be at least 400 square feet. To get an FHA loan for a home purchase, the property must meet certain requirements and be in good condition. If you’re interested in an FHA loan because you want to buy a fixer-upper or a foreclosure, you may have problems qualifying for a standard FHA home loan if the home is in poor condition and needs a lot of work. Luckily, it’s not impossible to get FHA financing in this situation. There is an FHA home loan program that allows buyers to finance the purchase price of a home and the cost of improvements with the same loan. If you’re thinking of buying a fixer-upper, ask your mortgage loan officer about an FHA 203K rehab loan. These loans cover bathroom and kitchen renovations, patios and decks, plumbing, flooring, new siding, HVAC systems, etc. There’s a plethora of mortgage options available to homebuyers, such as FHA loans, conventional loans, VA loans and USDA loans. But even if you qualify for a particular program, you might have difficulty saving up enough cash for a down payment and closing costs. Fortunately, some programs make it easier for first-time homebuyers to qualify for a mortgage and complete a home purchase. First-time homebuyer loans are unique and typically feature lower down payments or grant money to assist buyers with mortgage-related expenses. Additionally, some programs have subsidized interest rates which can help first-time buyers qualify for the lowest rate possible and enjoy a cheap mortgage payment. These loans have helped millions of families, but there are a few things you should know about first-time homebuyer loans. When you think about first-time homebuyer loans, you might assume these loans are only available to borrowers who have never purchased a property. The interesting thing about these particular loans is that you can qualify even if you’re technically “not” a first-time homebuyer. Some programs are open to buyers who have owned a home in the past, but these individuals can’t have owned in at least the past three to four years. So if you’ve previously sold a home and have been renting for at least three years, you might be eligible for this program. Even if you meet the qualifications for a first-time homebuyer loan, eligibility is often limited to income. In most cases, these loans are only available to people who have low to moderate income. The goal is to help these borrowers realize their dream of homeownership. Usually, your income must be a percentage less than the median income for the area. This percentage varies depending on the program. You could also be disqualified for these types of loans if you have substantial assets, such as a sizable savings account or investment accounts. Since first-time homebuyer loans are designed to help low to moderate income families purchase a property, some programs limit the dollar amount a borrower can spend on a property. This price limit depends on where you live and the average cost of homes in your area. A price restriction is beneficial because it can keep your monthly payment within an affordable range. However, restrictions can make it harder to purchase the property you want. Purchasing a home as an investment property is an excellent way to diversify your portfolio and generate extra income. Some people purchase homes they can fix up and flip for a profit, whereas others purchase homes to use as rental properties. 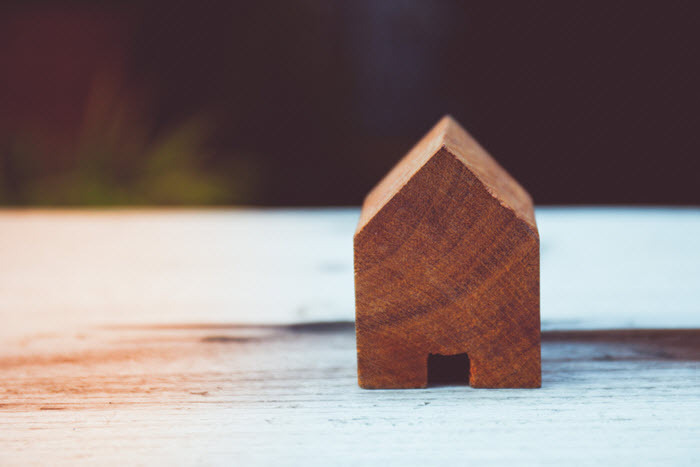 Unfortunately, if you’re considering applying for a first-time homebuyer mortgage, you won’t be eligible for the loan if you plan on using the home as an investment property. Most first-time homebuyer loan programs only finance owner-occupied properties. With interest rates at an all-time low, now’s a good time to become a homeowner or move up. There are plenty of reasons to own a piece of your American dream. Homeowners, on average, have a greater net worth than renters, plus owning can provide a sense of accomplishment. But once you begin the process of buying and speak with mortgage lenders, you might come to the realization that you can’t afford to buy a house—at least not now. If you’re not up-to-date with current mortgage requirements, you might be unaware that most lenders currently require a down payment for a home purchase. This wasn’t the case in the mid- to late-2000s before the housing crisis. Ten years ago you could walk into a lender’s office with zero cash and purchase with nothing out-of-pocket. Nowadays, unless you qualify for a VA home loan or a USDA home loan, you’ll need a minimum down payment between 3.5% and 5%. Regardless of whether you have an excellent credit score and sufficient income, most mortgage lenders won’t approve your application if you don’t have enough assets. Another roadblock to homeownership for some borrowers is student loan debt—or any type of debt. When you apply for a home loan, the lender will look at your credit report to see how much you owe other creditors, and they’ll factor in your minimum payments for car loans, credit cards, student loans and other debts when determining whether you qualify for a mortgage. Unfortunately, if your student loan payments take a chunk of your monthly income, this can delay a home purchase in two ways. This is because student loan payments prevent some would-be buyers from building a savings account to cover their down payment and closing costs. And secondly, student loan debt can increase a buyer’s debt-to-income ratio, making it difficult for them to qualify for a home loan. Or they might only qualify for a small amount and it becomes harder to find properties in their price range. You can certainly buy a home as a single person. But when you’re a single-income household managing bills on your own, it is harder to qualify for large mortgages. You might run into this problem if you live in an area with a higher cost-of-living. Let’s say you make $35,000 a year, or roughly $2,900 a month before taxes. Typically, monthly mortgage payments cannot exceed 28% to 30% of your gross monthly income. Therefore, the maximum you can spend on a mortgage payment every month, including principal, interest, taxes and homeowners insurance, would be around $870. This means you can afford to spend a maximum of $120,000 to $140,000 on a home purchase, depending on your mortgage rate and term. This isn’t an issue if there’s affordable housing in your area and a generous selection of properties within this price point. On the other hand, if it’s expensive to live in your city and starter homes begin in the low $200,000, you’ll have to postpone buying a home until your income increases. Buying a home can be one of the most exciting times in your life. But it can also be a difficult, nail-biting process. 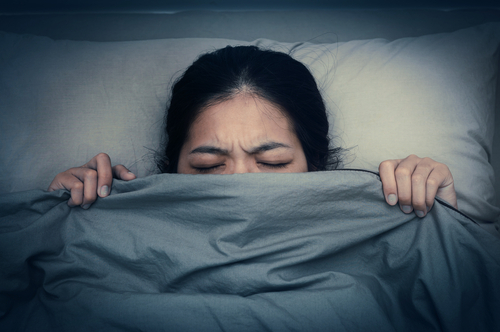 Finding a home, getting a mortgage and closing the deal is unpredictable and rarely smooth sailing, and many buyers have their own horror stories. Despite what you might have heard about buying a home, there are ways to avoid your own mortgage nightmare. There is a difference between a mortgage pre-approval and a mortgage pre-qualification. Some homebuyers assume these are the same processes. So when they receive a pre-qualification from a lender, they think the loan is written in stone and they begin looking at properties in their price range. A pre-qualification, however, is only a rough estimate of how much the bank “might” lend based on information provided on a mortgage form. At this stage in the process, you haven’t submitted any official documentation, such as tax returns or bank statements. The truth is, a pre-qualification doesn’t get you the keys to a new house. 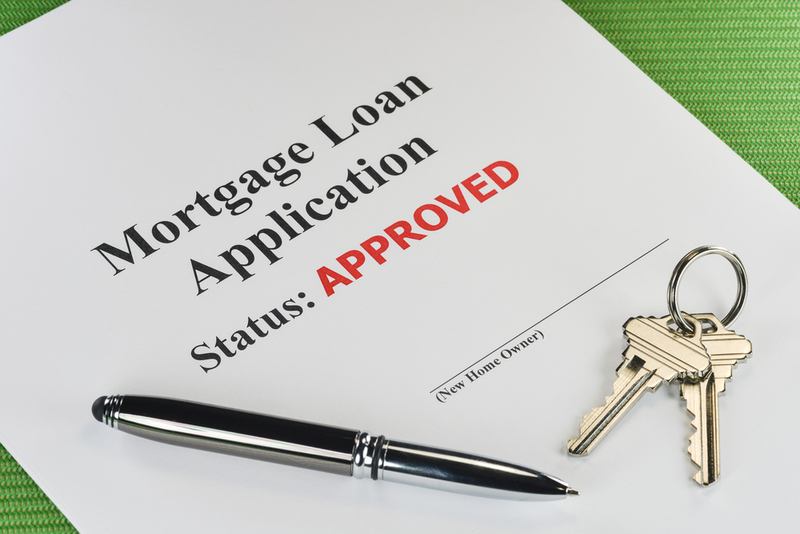 For a better idea of whether you meet the qualifications for a mortgage loan, you have to get pre-approved. This involves submitting supporting documentation to the mortgage lender. The lender will also examine your credit report and your entire file goes through underwriting. If you qualify, you’ll receive a pre-approval letter with information on the maximum you can spend on a property as well as other terms, such as the type of mortgage, your interest rate and the amount you’ll need as down payment. If you make an offer on a house based on your pre-qualified amount—which is only an estimate of what you can borrow—you might be disappointed to learn that you actually qualify for much less once the lender checks your income statements and credit report. Property bidding wars can escalate quickly. If you’re not careful, you could end up spending more on a house than originally planned. Bidding wars occur when a property has multiple buyers competing against each other. These types of situations drive up the asking price of a property, and some buyers spend more than they can comfortably afford. If you win a bidding war and agree to pay more, there’s also the risk of the home not appraising at the final sale price. If the appraisal comes in low, you’ll have to renegotiate with the seller, or pay the difference between the appraisal price and the sale price out-of-pocket. One of the fastest ways to mess up a mortgage is opening new credit accounts after you’ve been pre-approved. Remember, your pre-approval is based on your income and debt-to-income ratio at the time of submitting your application. If you open a new credit card or get a new auto loan before closing, this changes your debt-to-income ratio. 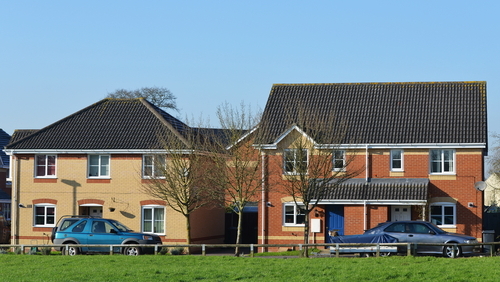 Mortgage lenders have strict guidelines regarding debt limits, and if your minimum debt payments—including the future mortgage payment—increase to more than 36% of your gross income, this can cause your mortgage to fall through because the bank may conclude that you no longer qualify for the original loan amount. When comparing mortgage options, you can decide between a fixed-rate mortgage and an adjustable-rate mortgage. Adjustable-rate mortgages have an interest rate that change on a year-to-year basis after an initial fixed-rate period, typically three to seven years. These mortgages are riskier, but also attractive because they usually start with a lower mortgage rate than fixed-rate mortgages. Borrowers often choose an adjustable-rate mortgage so they can enjoy a lower payment in the early years of their mortgage term. The problem with these mortgages is that rate increases in the future can skyrocket a home loan payment. Some borrowers take this risk betting on the fact that their income will increase in the future. But this is a gamble you shouldn’t take. There are no guarantees that your income will increase. If a rate increase results in a much higher mortgage payment, yet your income remains roughly the same over the years, this can trigger payment problems and raise the risk of foreclosure. Adjustable-rates are a smarter options for people who plan to move before their first rate adjustment. Some mortgage experts recommend paying off a home loan early. The sooner you pay off a mortgage, the sooner you can achieve a measure of financial freedom. Plus, getting rid of a home loan early reduces how much you pay in interest over the life of the loan. But while a 15-year or a 20-year mortgage saves money in the long run, a 30-year mortgage might be a wiser alternative. Some people don’t like the idea of debt, so they aim to pay off their mortgages as soon as possible. This is why they choose 15-year mortgages. But even if you share this mindset, you don’t need a 15-year loan to achieve this. Nowadays, most mortgages don’t have prepayment penalties, which penalize borrowers for paying off their home loans before a certain period of time. Even if your loan had a prepayment penalty, your lender would only charge this penalty for the first three years of the mortgage term. Therefore, if you wanted to pay off a 30-your home loan in 5 years, 10 years or 15 years, you could do so at no additional cost. The truth is, a 30-year mortgage offers the best of both worlds because there’s flexibility. You can pay down your balance slowly over the next three decades, or you can make extra principal payments every month to pay off the balance sooner. With a 15-year mortgage loan, your home loan payment will be higher, and you’re obligated to make these higher payments each and every month. A 15-year term might increase your mortgage payments by $400 or $500 each month, depending on how much you owe. This might be a drop in the bucket if you’re making good money and can afford to pay down your home loan while achieving other financial goals. But if you can only choose one option, a 30-year mortgage can make sense in your situation. Instead of choosing a shorter term and pouring all your money into the house, you can take advantage of a cheaper house payment that comes with a longer mortgage term. With the savings, there’s more opportunities to invest in your future. You can better prepare for retirement or increase your net worth with other investments, perhaps stocks, bonds, real estate, etc. Or if you have credit card debt or student loans, use your disposable cash to pay off these balances. Additionally, choosing a 30-year mortgage and getting a lower monthly payment helps you live life to the fullest. Are there hobbies you want to explore or places you want to visit? If you can save on your house payment every month, it’ll be easier to achieve these goals. 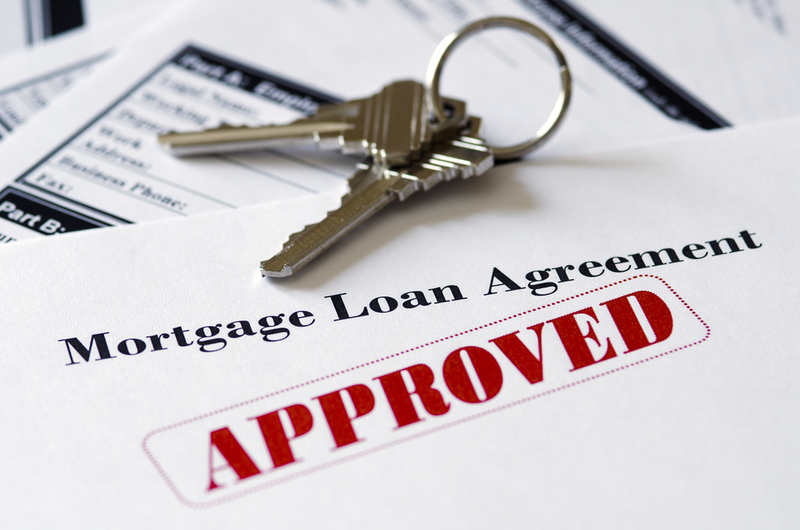 Getting approved for a mortgage loan isn’t as easy as getting a car loan or a credit card. Mortgage lenders don’t approve everyone for financing, and banks have their own set of strict lending guidelines. The underwriter considers your entire financial picture to determine if you’re a good candidate for a loan. And unfortunately, if the bank’s underwriter isn’t confident in your ability to repay funds, you won’t get the loan. So before you step foot inside a bank, you need to strengthen your finances in preparation for a mortgage. Some people don’t realize the damaging effect credit card debt can have on a mortgage loan. Even if you make your minimum payments every month on credit cards, student loans or auto loans, lenders calculate your debt-to-income ratio to determine how much you’re able to receive for a property. Your total monthly debt payments including your home loan should not exceed 36% to 43% of your gross monthly income. If you have high debts, this limits how much you can borrow. And when a bank limits borrowing capacity, you’re purchasing power decreases and you’ll have to look at cheaper homes. To strengthen your finances, pay off as many debts as possible. This can decrease your debt-to-income ratio allowing you to qualify for a bigger mortgage. Getting the best interest rate is key because a low rate saves you money on a monthly basis, and over the life of the loan. Never assume you have good credit. Order a copy of your credit report from Annualcreditreport.com or contact the credit bureaus for copies. Check your report for inaccuracies and dispute errors. Erroneous negative information on your credit file can decrease your credit score and prevent qualifying for the most favorable rates. Buying a home is expensive and you’ll need to put cash into the deal. Even if you can swing a mortgage payment, you might not have disposable income to save for a down payment or closing costs. Most loan programs require a down payment, so getting a mortgage might require eliminating unnecessary expenses. Brainstorm ways to cut back and save money. 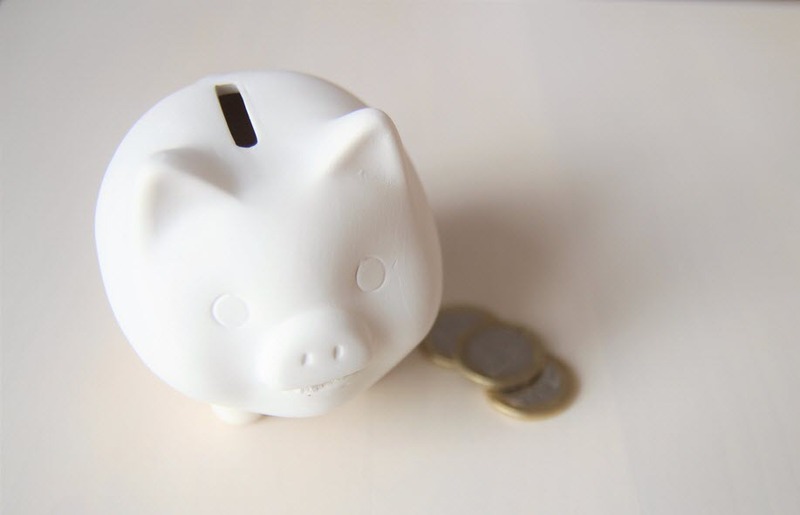 Simple adjustments can result in big savings, and these savings add up quickly. For example, clipping coupons and buying generic can shave dollars off your grocery bill. Going on a spending diet and only purchasing necessary items can also result in huge savings. Likewise, consider making sacrifices like skipping your yearly vacation. If you can save $300 a month, that’s $3,600 a year for a down payment. Minimum mortgage down payments average between 3.5% and 5%, and closing costs can run between 2% and 5% of the sale price. In addition to eliminating unnecessary expenses to save money, you can look for a part-time job. The more income you generate on a monthly basis, the quicker you can save enough money to purchase a home. If you work part-time a few hours and earn $125 a week, that’s an additional $500 a month. If you’re also able to save $300 by cutting back on expenses, that’s a total of $800 a month or $9,600 for a home purchase in just 12 months. Getting pre-approved is one of the first steps you’ll take when buying a house. This involves providing your lender with income information and giving the bank authorization to check your credit. Based on your income, credit history and assets, the bank can pre-approve your mortgage and determine how much you can spend on a property. But although pre-approvals prove you’re a serious buyer and qualified, these approvals are conditional and don’t guarantee a mortgage. A mortgage isn’t technically “approved” until the end of the underwriting process which can take 30 to 45 days. And unfortunately, numerous situations can delay a final mortgage approval. During the initial process, you’ll provide the lender with several pieces of documentation to help the underwriter assess whether you’re eligible for the loan. This includes paycheck stubs, most recent tax returns, bank statements and other paperwork to give the bank a clear picture of your financial standing. At some point before closing, the bank may ask for additional paperwork. This is customary. This can include updated bank statements to verify assets, or an updated paycheck stub or profit-and-loss statement to make sure your income hasn’t changed. The sooner you provide your lender with this information, the sooner the underwriter can finish processing your loan. 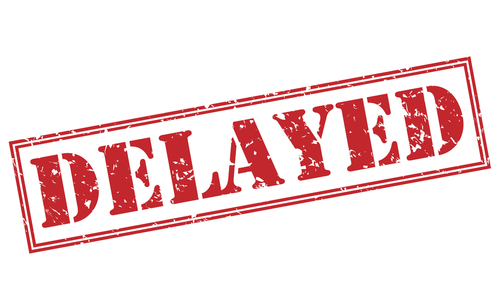 Any delays on your part can affect your mortgage approval. A few days before closing, your lender will check your credit again. During the underwriting process, you shouldn’t apply for new credit or significantly increase your credit card balances. If your mortgage lender checks your credit and sees new inquiries, this can raise questions and delay a final approval. The lender will have to investigate to check for new accounts opened since getting pre-approved. Opening a new credit account can affect your mortgage approval because new debt reduces borrowing capacity. Although an appraisal issue is beyond your control, it can delay a final mortgage approval. This is because banks will not lend more than a property’s value. If you purchase a home and agree to pay $250,000, but a bank’s appraisal determines the home is only worth $235,000, the bank isn’t going to approve the loan because the sale price is $15,000 above the home’s current value. To get the loan approved, you’ll have to renegotiate the sale price with the seller, or pay the difference out of your own funds. With regard to your employment, do not hide anything from your mortgage lender. Even a seemingly minor employment change can delay your mortgage approval. For example, if you plan to start maternity leave before closing, make sure your mortgage lender is aware of your plans. Or if you know you’ll switch positions or change companies at some point before closing, tell your lender about this change ahead of time. Prior to closing, the bank will contact your employer again to re-verify your employment status and income. Finding out that you no longer work for the company or that you don’t hold the same position can delay the mortgage approval. It’s a loan officer and underwriter’s job to help mortgage borrowers get the funds they need to purchase a home. Banking is a business, so mortgage lenders want to help as many customers as possible. But this doesn’t mean every lender has your best interest in mind. Buying a home is a big financial decision and it’s important to get as much information from your lender as possible. Unfortunately, there are good lenders and bad lenders. If you work with a bad lender, you risk agreeing to a mortgage that isn’t right for your circumstances. The good news is that there are ways to tell whether a mortgage lender cares about you. A good mortgage lender doesn’t recommend a random mortgage product. Mortgage lenders who care about their customers will ask a variety of questions to get an idea of a borrower’s circumstances, and then recommend a product based on the unique needs of each borrower. There are several home loan options to choose from. The mortgage program that works for one borrower may not work for another. To help you choose the right program, the lender may ask questions about your assets, income, credit history, and the length of time you plan to live in the property. The more information they have, the easier it is to assist with your home buying needs. 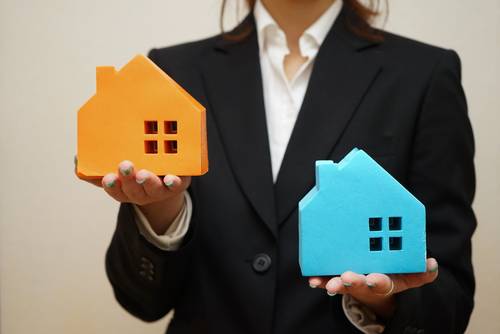 Although there are several products to help borrowers purchase a home, just about every mortgage program has desirable and undesirable features. A mortgage lender who cares will highlight the positives of a particular program, as well as the negatives. For example, an FHA mortgage is an ideal choice for cash-strapped borrowers because the program only requires 3.5% down and borrowers can qualify with a credit score as low as 500 to 580. The downside is that FHA home loans require mortgage insurance for the life of the loan, plus there’s an upfront mortgage insurance premium which makes this loan a costly alternative. Likewise, an adjustable-rate mortgage typically starts off with a rate that’s lower than the rate on most fixed-rate mortgages, resulting in a lower monthly payment. But at the same time, adjustable-rate mortgages are unpredictable and can result in higher interest rates down the road. Bottom line, you want a mortgage lender that shares the cold, hard facts about every mortgage program so you avoid future surprises. A mortgage lender who cares goes the extra mile to help applicants qualify for a mortgage and get the lowest interest rate. You’ll have questions about the lending process. A good loan officer is willing and happy to answer your questions an offer recommendations to help you get the best terms. This might include credit tips to raise your score. A good mortgage lender also wants its borrowers to succeed. Finding out that a lender rejected your home loan application can be infuriating and frustrating. But you have to consider the situation from their viewpoint. Mortgage lenders want new customers, but not at the expense of setting borrowers up for failure. If an underwriter determines that now isn’t the right time to approve your home loan, there’s a valid reason for this decision. Speak with your loan officer or underwriter to see why your application was rejected. Whether the reason was due to insufficient income, not enough assets or a poor credit history, put your pride aside and come up with a plan to rectify the issue. In all likelihood, your loan officer will offer suggestions and guidance so you can qualify in the future. After the final walk-through of a property you’re purchasing, the next step is attending your mortgage closing. After your underwriter receives all documentation to complete your file—such as your most recent paycheck stub and a copy of the appraisal—he’ll send your entire loan file to the closing agent who handles the closing. The process takes place at a title company or a real estate attorney’s office. By this time you’ve already received your final Closing Disclosure form which explains your terms and mortgage costs. But even if you understand the mortgage terms, you may be unfamiliar with an actual closing. If you’re a first-time home buyer, here’s what you can expect. 1. How long does closing take? The length of a mortgage closing varies, and depends on whether you have questions or run into problems. On average, a mortgage closing takes about one hour or one and a half hours. Sometimes, closings are longer. For that matter, don’t schedule a mortgage closing on your lunch break. Allow a couple of hours to complete the process. If you have to work, plan to work a half day. 2. What types of documents will I sign? Closing on a mortgage loan can take longer than expected because you’ll sign a stack of paperwork. Your closing agent explains each document, and you’re required to sign or initial each copy. Forms you’ll sign or initial include your final Closing Disclosure, the loan application completed for your lender, real estate transfer documents (such as the deed), as well as several home loan documents including the mortgage note and the mortgage agreement. The closing agent doesn’t read every word on every document, but rather highlights certain key points. For example, he may highlight your loan amount, mortgage term and interest rate, as well as your monthly payment and where to send your mortgage payment every month. If you have any questions during the process, ask the closing agent to go into further detail. Your mortgage lender isn’t present at closing, but the title company or real estate attorney overseeing the process is knowledgeable and can answer your questions. 3. When is the best time to close on a mortgage? You can close on a mortgage loan at any time of the month, but closing toward the end of the month can reduce your closing costs. Closing costs include prepaid interest, and the amount you pay in prepaid interest depends on the number of days left in the month. Therefore, closing on September 28 instead of September 15 means you’ll only pay two days of prepaid interest instead of 15. But while you should close toward the end of the month, don’t wait until the last day of the month. If possible, close a couple days before the end of the month and give yourself wiggle room in case there are delays. If the closing is delayed until the beginning of the next month, you’ll owe almost a full month’s of prepaid interest which increases your closing costs. 4. When do I get my keys? Although closing is exciting, the one unexciting part is giving the title company or the real estate attorney a check for closing costs. There are costs associated with a home purchase. This includes the loan origination fee charged by the lender, title search fees, attorney fees, discount points, etc. Closing costs can range from 2% to 5% of the mortgage loan, and funds are due at the closing table. Your Closing Disclosure form, which you receive three days before closing, has information about cash needed to close. You can wire funds to the closing agent or bring a certified check. The closing agent will collect funds at the end of the appointment. 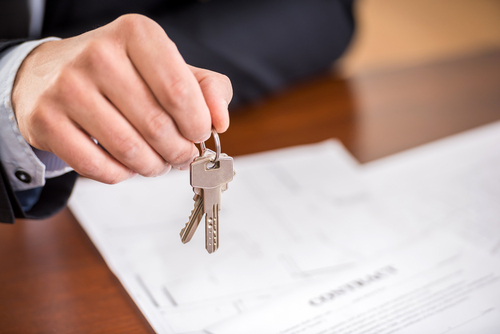 After making a copy of your drivers license and the closing documents, the closing agent returns with the keys to your new property. This site is a free online resource that offers valuable content and comparison features to consumers. To keep such resource 100% free for consumers, MortgageLoans.org receives advertising compensation from the companies listed on this page. Such compensation impacts the location and order in which such companies appear on this page. All such location and order are subject to change. MortgageLoans.org does not include all mortgage lending sites available to consumers in the marketplace. 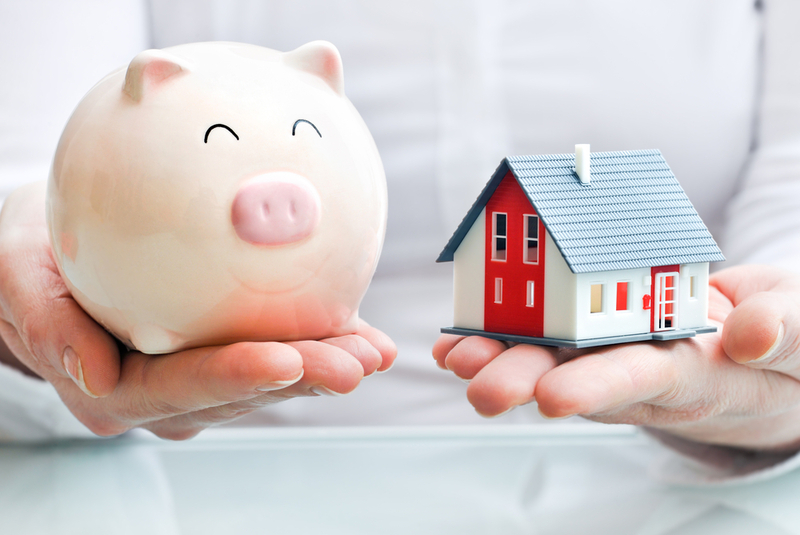 Stay updated with the latest Mortgage Loan Profiles, comparisons, deals and special offers. By providing my email, I agree to receive occasional emails from (i) MortgageLoans.org and (ii) marketing partners of MortgageLoans.org for surveys or promotional purposes. Copyright© 2019 MortgageLoans.org. All rights reserved®. MortgageLoans.org does not offer loans or mortgages. MortgageLoans.org is not a lender or a mortgage broker. MortgageLoans.org is a website that provides information about mortgages and loans and does not offer loans or mortgages directly or indirectly through representatives or agents. The content, including without limitation any viewpoint or opinion in any profile, article or video, contained on this website is for informational purposes only and does not reflect the endorsement, opinion or viewpoint of MortgageLoans.org. Any third party contributor to any such profile, article or video has been compensated by MortgageLoans.org for such contribution. It is advised that you conduct your own investigation as to the accuracy of any information contained herein as such information, including without limitation any quote, is provided "as is" for informational purposes only. Further, MortgageLoans.org shall not be liable for any informational error or for any action taken in reliance on information contained herein.